If you love the efficiency of gas grilling but long for the smoky flavor of charcoal, then this new smoker box exclusively from Williams Sonoma, is destined to become your favorite grilling accessory. This little powerhouse can be filled with aromatic wood chips or fragrant herbs for all kinds of smoky flavor infusions, all you have to do is remember to pre soak your chips, and when ready place them in the base of the smoker box. After a few minutes of preheating the box on an outdoor grill your going to have lovely, great taste enhancing smoke ready to use at your command. 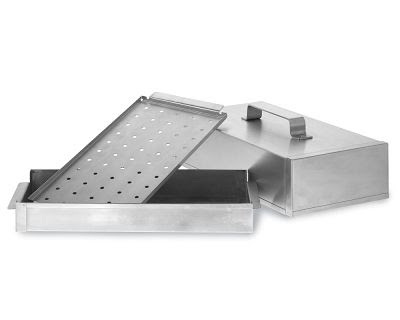 To smoke select foods, place ingredients on the perforated tray, set over the base on the grill and cover with the lid or to turn your entire closed grill into a smoker, remove the lid altogether. 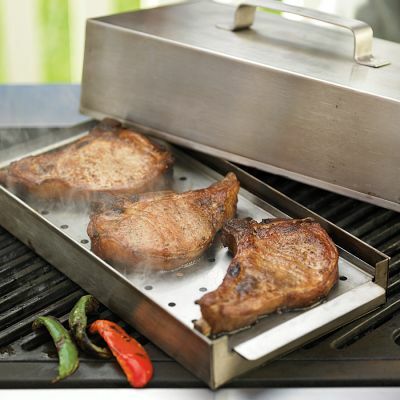 Made of heavy-gauge stainless steel and dishwahser safe, this is sure to be a big hit at your next BBQ. Once again we got a request for a recipe that called for grilled beef, that also had some spicy sweetness to it. Thanks to our good followers on Twitter we have been getting some pretty interesting requests and questions about what kinds of foods can and can't be grilled together. 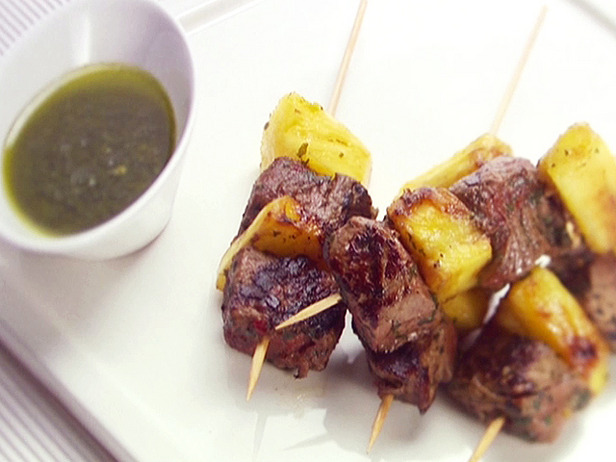 To us, nothing says Summer like some great beef skewers that are just loaded with juicy chunks of pineapple, grilled to perfection. Of course you can mix and match veggies, onions and just about anything you know can take the heat on these skewers as well, but we kept it basic and easy for the starters. These are a great treat for the kids as well, just be careful on how much of the Spicy Cilantro dipping sauce you give them, because it is loaded with our favorite condiment, Sriracha Sauce. Enjoy these by the dozen, its Summertime you deserve it. We got a request via our @TheSupremePlate twitter account and were asked if we had any good recipes for home made scones, that were easy to make. 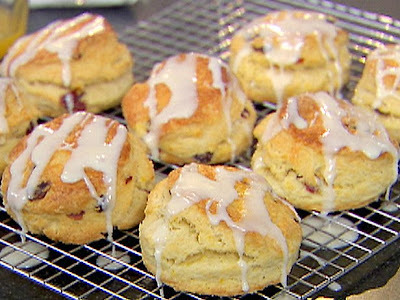 Scones are a delicious English bread / cake treat that are often round or octagonal in shape depending on the vessel they were baked in. Here we added our own blend of cranberries and orange zest to help infuse some popping flavors without making the Scone overly heavy or too sweet. Make sure you have your hands, rolling pin and work surface well floured to avoid the dough from sticking, forcing you to overwork it. Remember overworked / kneaded, dough usually results in tough, dense or overly chewy breads. There is nothing like taking a meeting with someone who represents not only multiple automotive brands, but almost 100 years of commitment to their community. Stopping by Moss Bros. Honda in Moreno Valley the other day we caught up with Jason Moss who shares our enthusiasm for the launch of Project Social Responsibility. For those that have slept, we are in the midst of rolling out a vehicle that will be able to help feed hundreds of thousands of people over the next few years, who have little or no way of helping themselves and Moss Bros. is dedicated to helping see that project come to life. Now people may say, Moreno Valley, no way would I drive way out there to get a vehicle, but after taking a few minutes to speak with people such as Jason, you begin to realize there are still honest car salesmen left on this planet. It isn't always about the sale of a car in his eyes, "it is more about making sure the people feel comfortable in what they are buying." Better yet after you see how incredible of a deal they can offer you because of their multi brand buying power you'll probably be more inclined to be impressed. Check them out online at Moss Bros. or HotAxle.com and enjoy your car buying experience for once. 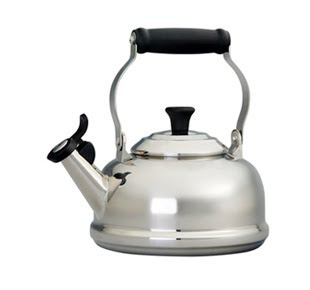 Traditionally teakettles, the bulky items that they are, impossible to clean efficiently without entirely dismantling them. But leave it to the geniuses at Le Creuset to completely change the tradition into the technologically advanced. Their newest models of Teakettles are not only available in a multitude of colors, from stainless steel to soft pink, but now also offer a few new advancements to help get your temperature boiling that much quicker. 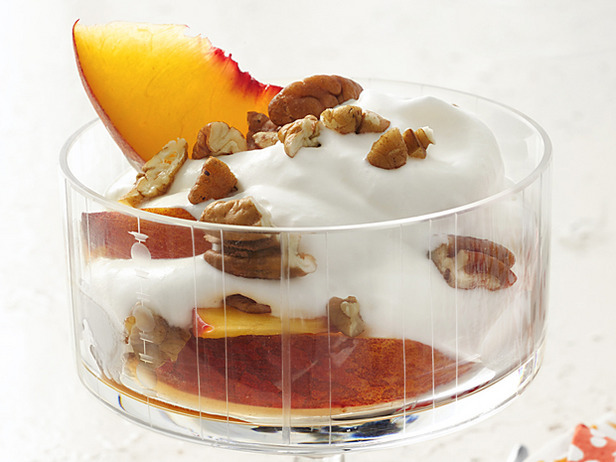 Leave it to us to discover that June 21st is National Peaches and Cream Day. But we aren't talking about the song from 112 no, not hardly. Today is a holiday in honor of Georgia's beloved Peach and the best sidekick it has ever known, fresh whipped Cream. But what would it be if we didn't add a bit of sprucing up in the form a few ounces of delicious Bourbon? This recipe is great dessert that is light and fluffy and wont leave you needing a nap when you are finished. Summertime calls for lighter eating, but most of us never heed that word. 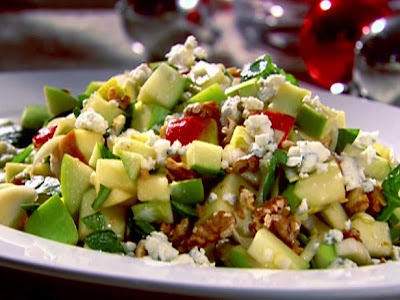 This Summertime salad is light, healthy and exploding with flavor unlike some of these sad rabbit food looking concoctions we have been seeing in restaurants lately. The strawberry vinaigrette tops off the crunch from the toasted walnuts and tang from the bleu cheese crumbles deliciously. 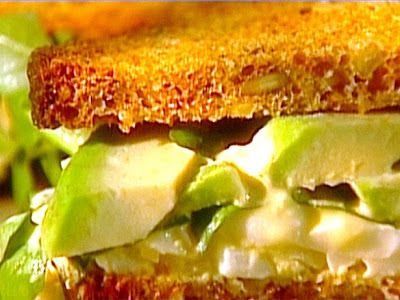 The added sweetness from the chopped apples just helps to keep everything flowing smoothly together, instead of weighing down your plate like a few slices of chicken breast would normally do. 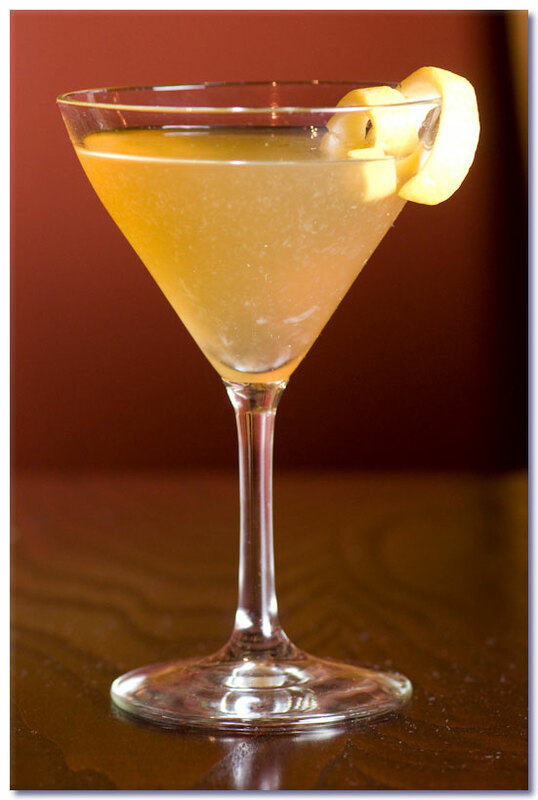 Enjoy this early in the day or late at night, it wont leave you feeling sluggish when your finished, we promise. Some people are completely against the thought of Veal. 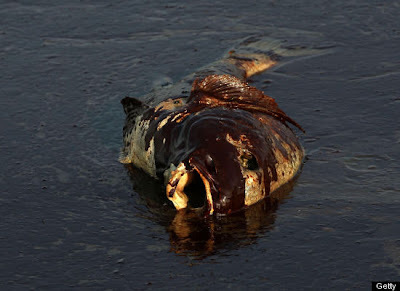 Many people have never seen the conditions these animals grow up in to become some great tender meat, but that is another story in and unto itself. 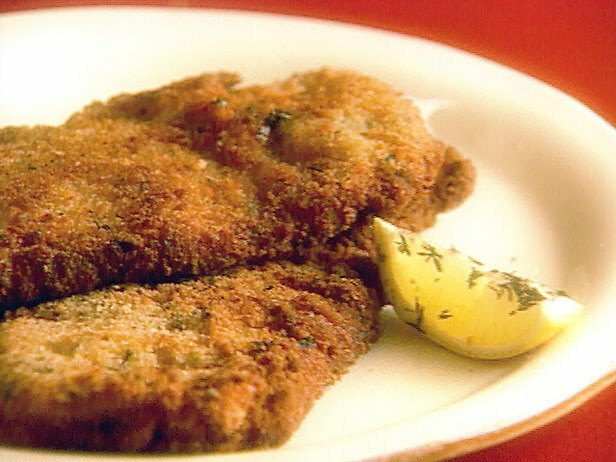 Today's Recipe Of The Day: Veal Milanese is a beef dish, that when taken time to perfect is something you will want to eat for the rest of your life. The beef when breaded and fried in those little cutlets and then smothered in that wonderful sauce becomes something you cannot compare any other meat dish too. True this dish can be attempted with other cuts of beef filleted and paillarded, but they simple do not compete with the tender delicate flavors that come from using Veal. Please take your time and watch your temperatures when cooking this one, frying too long only overly toughens this juicy delicacy. 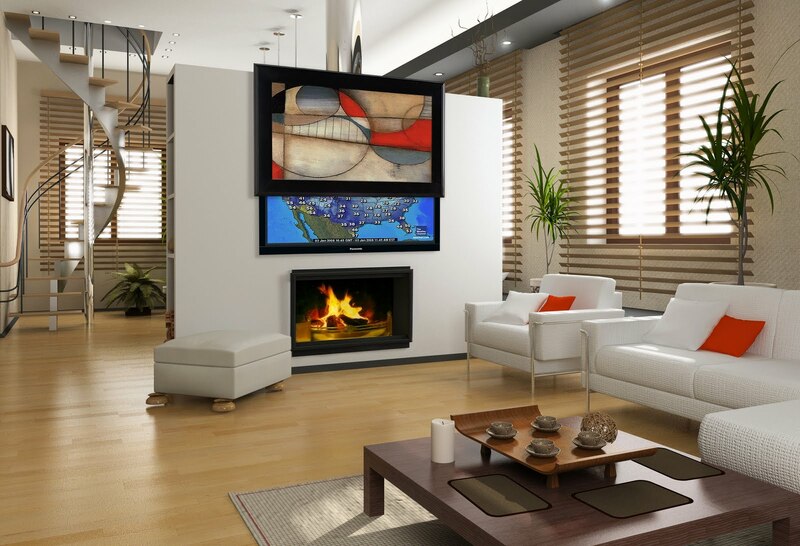 With TV prices plummeting because the latest craze in LCD TV’s has taken the nation by storm, millions of consumers are now finding themselves in the fortunate position to be able to afford what was once considered such a luxurious item. True flat screen TV’s have allowed people to free their homes from hundreds of pounds of clutter on a table or stuffed into an entertainment center, but what about the space on the wall that could’ve been used for sentimental pictures, beautiful artwork or at least a purpose serving mirror? The great tasting drink seen above is fresh out of our test kitchens and we think it truly deserves some play at your next get together, function, soiree or whatever you choose to call your gatherings. 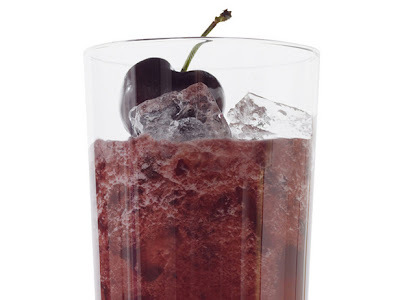 The mix of the pomegranate tea, sugar and fresh pureed cherries create a fresh fruit flavor explosion that when coupled with the Absolut Ruby Red Vodka is something that must be shared with the world. Served over crushed ice this drink is a sure hit for those days where laying lazily alongside the pool is all that have to do. 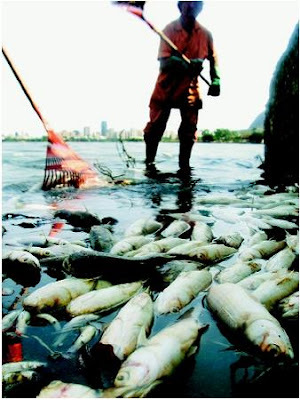 National Seafood Month Potentially Ruined? Typically, this time of year has numerous restaurants and purveyors of fine quality seafood beginning to reap the rewards from all of their hard work, the key word being typically. 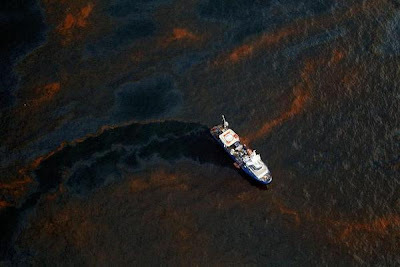 Thanks to a great bunch of venture capitalists and a few weeks of more than 200,000 gallons of crude petroleum spilling daily into our beloved Gulf Coastal waters, we can almost guarantee that the seafood we all grew up loving will be a distant memory. True for many of us that doesn't mean the end of the world, but what about the people who were already struggling to survive off of what came out of the ocean? By now everyone has seen the images that this catastrophic event has produced as millions of gallons of black death spilled into the ocean. 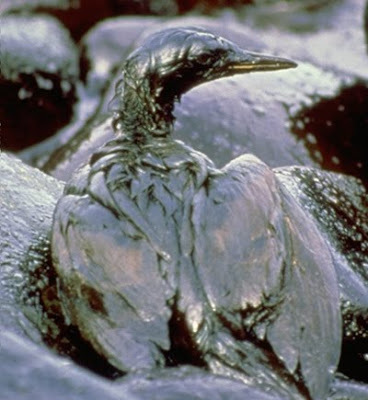 Horrific events such as this bring to mind millions of questions, but the most present to me, at least at this moment is, when are we going to WAKE UP and take responsibility for our actions against Earth? I know, we keep telling you about this great holiday, National Chocolate Ice Cream Day, but what does that do for those of us who have no time to sit and eat a bowl of ice cream? Well that means that we must do our job and give you grown ups a great drink recipe that includes some good old fashioned Chocolate Ice Cream. 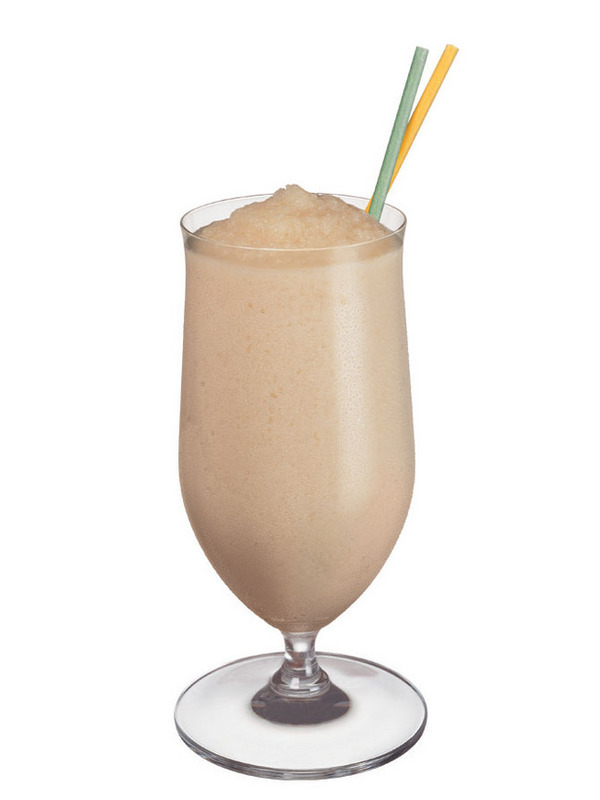 If your not a big fan of Irish creams, have no fear the Smirnoff and ice cream completely remove the normal aftertaste from Baileys leaving something more reminiscent of a grown up Root Beer Float of sorts. Please observe the great holiday today that is Chocolate Ice Cream Day. Earlier we put up a post that although not directly food related, truly explained the importance of ice cream to our nations youth. So please, take the time today to allow yourself a chance to enjoy the great joys of a few scoops of Chocolate Ice Cream. You already know how we feel about Eddie Murphy from our previous posts, especially when he does something hilarious about food. 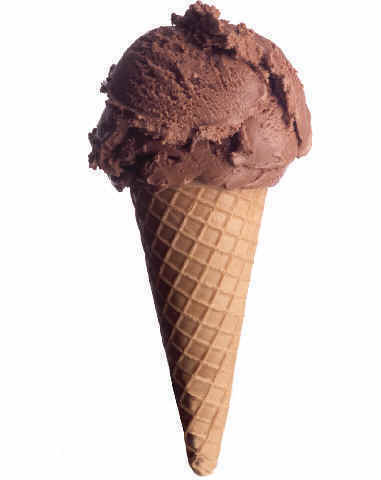 Enjoy this in Honor of National Chocolate Ice Cream Day. 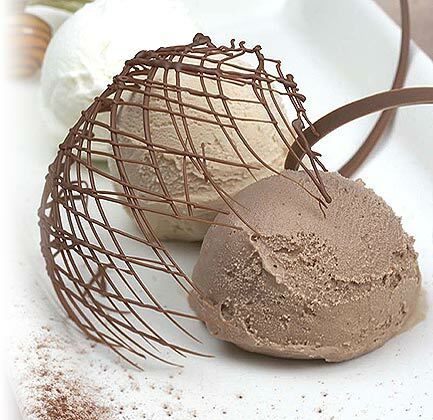 Make sure to celebrate National Chocolate Ice Cream Day today with some of your favorite Chocolate flavored Ice Cream. This is a good drink to wake up too, like your Grandmothers old school Mimosa. Enjoy this one throughout your day especially while sitting poolside eating some fresh grilled shrimp. 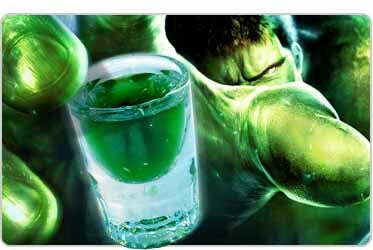 Everybody talks about the infamous Incredible Hulk, but do they know how to make it? Here is the easiest recipe we had in the stash for this delightful drink. Personally this is about the only time you will ever see me consume Hpnotiq, but with the addition of some good and faithful Hennessy this drink becomes, well Incredible. Enjoy in moderation these much like our famous Mango / Hennessy shots are a super creeper that will have you feeling toasty warm out of no where. Heres another recipe in honor of the incredible edible egg. This sandwich is actually inspired by a close close friend of ours, who could not stand mayo in anything they ate. By seasoning it up a little bit and not overloading the sandwich with it, we made it quite delightful, as they agreed upon devouring a few recently. Huevos Rancheros w/ Black Bean Puree. A staple in just about every Mexican themed restaurant around the globe, Huevos Rancheros (ranch eggs for the slow folks) is a classic breakfast dish that has found immense popularity here in the United States. 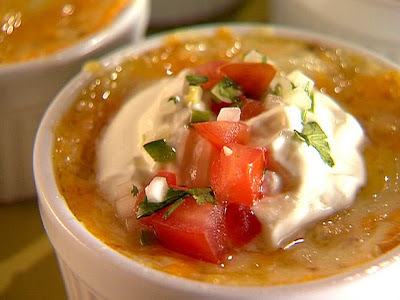 This recipe is simply delicious, easy to follow and quick to pull off so please take your time and enjoy the deep and smokey flavors found in this Mexican classic. 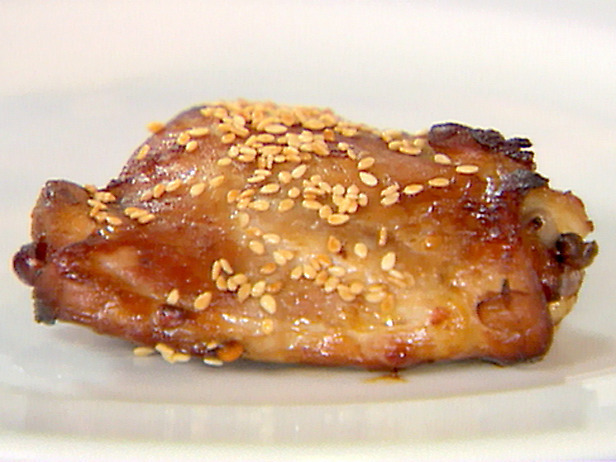 We got a request via twitter for a Teriyaki Chicken recipe that was quick, easy and cheap. This one right here is great for families on the go or for those of you who don't have too much time to spend cooking a great tasting dish. The tang and spice from the pepper, paprika, sesame oil and brown sugar are great and go perfectly with brown rice and steamed vegetables to keep the dish light and healthy. Thanks for the request, this was a hit this weekend during our Memorial Day BBQ madness in the kitchen and on the grill.